Here at SmarTravel, we provide customers with multiple vacation destination options all across the United States and even in the Caribbean. One of our favorite destinations is the Tamarack Resort in Lake Delton, WI. This resort is conveniently located only five minutes away from downtown Wisconsin Dells, known as the “Waterpark Capital of the World”! But if water rides aren’t your thing, don’t worry; this spot has a lot more to offer, too! The resort features spacious two bedroom villas, each equipped with a full kitchen and private balcony or patio. If you feel like getting some exercise, there are tennis courts and a fitness center on site for you to enjoy. Rather catch some rays? Enjoy two pools as well! 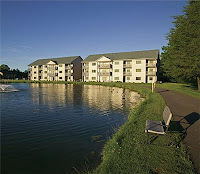 Take pleasure in the summer season in Wisconsin by grilling out or fishing in the pond right outside your room. These contemporary units are ideal for families as well as couples and as you can tell, they’re perfect for those looking to spend some time in the great outdoors. As the “Waterpark Capital of the World,” Wisconsin Dells is the perfect place to cool down in the summer. The city offers tons of water sports and water activities at various sites, as well as zip line tours to catch the amazing scenery. There are many golf courses situated within the beautiful natural landscape as well as scenic boat tours. Need a break from the outdoors? Wisconsin Dells is home to the exotic and exciting Circus World as well as the popular Ho-Chunk Gaming casino. All of these activities and attractions are sure to make you hungry! Good thing there are more than 80 restaurants packed into just 19 square miles! With that kind of variety, you’ll have the best choices of cuisine and style to fit your mood. This resort isn’t just for those who enjoy the warmer temperatures. Come winter, there’s a fantastic indoor water park available, as well as many skiing and snowboarding locations. And of course, great restaurants and bars are open year-round! For more information about area activities, visit the Wisconsin Dells website. For more on SmarTravel, visit our website. While travelers might prefer to stay out of the kitchen while on vacation, cooking simple meals is something families should considering doing to save money and event time. Most hotels only feature a mini-fridge and microwave causing families to end up spending a large chunk of their budget eating out for every meal. But the good news for our clients is that many SmarTravel accommodations across the U.S. and the Caribbean offer kitchenettes or full-sized kitchens that families can use to prepare some meals in-house. Utilize these spaces and save more money for future vacations by whipping up some quick, affordable meals before heading out the door. Need some inspiration? We’re here to help with quick recipes for every meal! Spray nonstick skillet with cooking spray (or melt better); warm over medium-high heat. Add bacon and cook for 2-3 minutes per side, or until browned. Remove bacon from pan; drain on paper towels. Cover and keep warm. In a large mixing bowl, combine eggs, milk, salt and pepper. Stir with fork or whisk until mixture is a pale yellow color. Pour ½ cup egg mixture into skillet, let set for approximately 30 seconds or until bottom starts to set. While waiting on eggs to cook, toast lightly buttered bagel or muffin. Using a spatula, gently push one edge of the egg into center of the pan so uncooked egg can reach bottom of the skillet. Repeat 8-10 times around skillet, titled as necessary for 1 – 1 ½ minutes. Shape egg into circle/oval; flip to cook both sides. Once egg is cooked, but not brown, remove from skillet and place onto bagel or muffin. Add 1 slice of cheese and 1 slice of bacon. Repeat steps 3 – 6 until all ingredients have been used. These delicious sandwiches give you fuel to start your day. Make them before an activity-packed itinerary – like hiking! Bring large pot of water to a boil. Place pasta in the pot, cook for 8 – 12 minutes until done. In a large bowl, toss cooked pasta with Italian dressing and parmesan cheese. Add in cucumbers and tomatoes. Add salt and pepper to taste. This recipe is perfect to eat while taking a break from the sun and sand. The best part – you can add in other favorite ingredients such as olives, onions or even chicken! Do some research ahead of your trip to see if your vacation destination has any local farmer’s markets nearby to get ingredients that are truly fresh. Heat the oven to 400°. Heat the oil in a large skillet over medium heat. Add beef and use wooden spoon or spatula to break it up into small pieces while it cooks. Cook 10-12 minutes, until browned. Drain beef and return to skillet. Add taco seasoning as directed on package. Heat tortillas in skillet for 30 seconds on each side or until warm. Top each tortilla with ¼ cup of seasoned beef, spreading it an inch from the edges. Sprinkle cheese evenly over beef. Roll up the tortillas and place on lightly greased baking sheet with the seam sides down. Brush taquitos lightly with vegetable oil. Bake for 8-12 minutes, until filling is heating throughout and tortillas are lightly browned. Serve hot with salsa and/or sour cream for dipping. This dinner recipe is quick and easy to make, but it won’t last long on the table! Feel free to add onions or peppers to spice things up! Don’t stress about budgeting for expensive meals! Instead, enjoy quality time cooking with your travel companions with these simple, delicious recipes during your next vacation. Check out our featured SmarTravel destinations to start planning a trip! At SmarTravel, we have always made giving back to the community one of our main focuses. We find it to be unequivocally rewarding to volunteer our time to help those in need, so when we’re not busy hooking people up with memorable, affordable vacations, we’re often getting involved in the community. Our most recent effort was during the Salvation Army of Indiana’s shoe shopping event at Shoe Carnival in Indianapolis. During the event, children had the opportunity to shop for a new pair of shoes ahead of going back to school. This effort really spoke to us for a number of reasons. First of all, we love the work the Salvation Army does year-round (it’s not just red kettles during the holidays!). Second, seeing the joy on children’s faces is an unmatched feeling and knowing you’re helping to put a smile there is so rewarding. And finally, this effort spoke to us because it’s strange to think of shoes, something so small and often inexpensive, being something that means so much to children and their families. Kids are constantly growing, so it’s just not feasible to send them to school year after year with the same shoes, but some families can’t afford new ones each year. We were happy to help some of these kiddos find kicks that they truly loved! We hope you’ll enjoy some photos we took while at the event! It was truly a great experience! Sure, we’re all about vacations, but sticking around town and doing some good in the community is also amazing! The vacation oasis is calling, but if you are like most, you rarely take advantage of your often meager vacation days. According to a study by Doctor Cuseo-Ott from the Virginia Women’s Center, the average American is working an unhealthy amount. Men are working 100 more hours a year and women are working 200 more hours per year than just 40 years ago. As a result, most families and couples are spending less and less quality time together. This is why, more than ever before, taking a vacation is the perfect escape from the hustle and bustle of the daily work grind. Whether you go by car, boat, train or plane, treat your family or your relationship to a vacation and reap the benefits. · A family that plays together stays together. Quality time will remind you of the love that keeps your unit tight knit. Kids are surrounded by technology, sports, school and friends, but this week away will be just what they need to refocus on family. Spend time with your children building a sand castle, going on a bike ride or hiking the mountains in order to create the moments that they will never forget. Children grow up from the kid who needed you to heal their “boo-boo”, to the teen who needs to borrow the car, to the adult who has a family of their own. Time flies by and you should enjoy vacations together while you can. You would never regret going on vacation, but you might regret not going. · Kick back and relax. Rest and recharge. Stress is detrimental for the overall health of your body. Vacation allows you to spend time with family and loved ones who you may miss out on spending time with during the busy stress of everyday life. The togetherness on vacation cannot typically be matched at home, as everyone always has different obligations and commitments. · Learn something new. Children are extremely impressionable people. Travel allows them to discover new cultures, foods and languages. They love to see, touch and feel the unfamiliar. As Jack Wood explains in this article, it benefits children to let them see what they learn in school come to life in a new place. Even the best school cannot compete with the real life experience of travel. · Spice up your love life. A vacation is a perfect spot to reconnect. It provides guaranteed alone time where the focus is solely on each other. Experiencing something new together helps to grow an even closer bond and reminds you to appreciate the little things that you do for each other. · Enjoy a journey together. A couple’s vacation is more about the journey together than the destination. It is a time to embark on something together that may increase your communication skills and your patience for each other. You can learn to be flexible and build trust in a new and unfamiliar place. Not only will you enjoy the time spent at a vacation destination, but the road trip or plane ride there can be another opportunity to connect. · Add spontaneity and excitement. Show your significant other your wild side! You may feel exhausted by the repetitive everyday routine, so jump out of your comfort zones together. This will keep you both on your toes waiting for the next thrilling activity! SmarTravel can help you find an affordable and amazing vacation destination. We have dozens of destinations across the United States and the Caribbean. For more information, click here. At SmarTravel, we offer a wide variety of vacation destinations in all areas of the U.S. and even some in the Caribbean. With all the different options, how are you ever to decide which is right for your family? We are here to help! Take our quiz to figure out which of our vacation destination options best suits your needs. Water- you gotta refuel, right? What’s the first thing you put in your suitcase before a vacation? You’re looking out from your condo/hotel room. What’s your ideal view? Which of these activities are you most likely to want to do on your vacation? What kind of food do you most enjoy eating while on a trip? What term best describes your ideal vacation? Who’s your favorite travel companion? Now, tally up your points based on your questions to each answer. A key is below. If you’re someone who doesn’t mind being called a “beach bum” this is the right spot for you! These accommodations allow you to enjoy the Hawaiian culture with modern convenience. This is actually the birthplace of the hula dance, so if you feel like taking a break from basking in the sun, you can opt for a lesson! Plus, this location features the tallest waterfall in Hawaii, a beautiful sight! 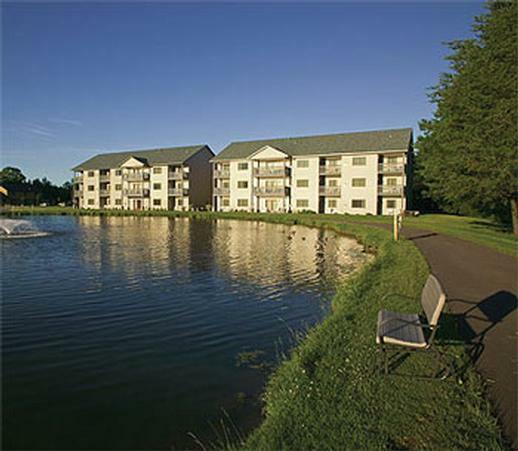 This condominium is centrally located in Northern Michigan. Harbor Springs is a gorgeous resort town that’s perfect for those looking to both relax and get a little adventurous! Enjoy a day at the beach or choose to fish, play a round of golf or go boating. Serving up your greatest catch for dinner will be a great way to celebrate! The Summit of Gatlinburg property is situated in the heart of the Great Smoky Mountain National Park. With gorgeous views of the Smokies, this is an ideal vacation spot for those looking to sip hot chocolate and relax the night away, but spend their days getting adventurous by hiking in the mountains and skiing. With plenty of shopping and indulgent restaurants, this is a spot that is great to visit year round. SmarTravel offers far more vacation destinations than just the ones listed here! For more information on us, visit our homepage. People take vacations to relax, have fun and enjoy time away from the hassles of everyday life. But planning a vacation can be stressful in itself, especially when trying to manage your budget. SmarTravel wants you to know, families don’t always have to save for years to afford a vacation, and you don’t always have to break the bank once you’re there. SmarTravel offers wholesale vacation accommodations to save you money. Once you’ve arrived, take advantage of these tips to save money to ensure the most relaxing and fun time for everyone! To save on airfare, book your flights very early. Using travel sites might seem more expensive at first, but they allow you to mix and match airlines to get the best deal. Flights with layovers can seem like a hassle, but they are usually cheaper than non-stop flights. Use that time to stretch your legs and explore a new airport. Another way to save on transportation, really think things through before deciding to rent a car. If a beach or pool and grocery store is within walking distance, you may want to skip it. Travelers might feel compelled to get friends, family and co-workers souvenirs from their trip, but it’s really not necessary. Save money by keeping shopping to a minimum. If you don’t want to make friends and family feel forgotten, opt for a postcard. In addition to limiting souvenirs, don’t let yourself get caught up in all the unique, little shops where you’re vacationing. Try going to every store without buying anything. Once you’ve seen it all, decide what you really loved the most and go back and buy that one item. While you’re away on vacation, don’t feel the need to pack every day full of different activities. Take some time to rest, relax and enjoy time off from the real world. When you are looking for fun activities, remember that excursions usually offer group discounts. Look for places that provide transportation for you. While you’re on vacation you may want to get away from cooking too, but that will definitely cost you. Take the time to stock up on groceries for the week, plan meals and take turns making them. It helps if the place you’re staying at has a kitchen. Many SmarTravel destinations feature condos with kitchenettes perfect for whipping up a fast snack or simple meal on vacation. You can still go out to eat, but do so sparingly. If you do chose to dine out, try going for a lunch special instead of dinner. Smartphone apps can be your best friend while traveling. You can use them to find restaurant deals, the best excursion and hidden tourist spots. Need directions? Apps can help with that, too. Get the best reviews on activities by locals and people that have been there before you. Travel apps can help make the planning process easier and ensure you get the biggest bang for your buck! While on vacation you may think you need to throw caution to the wind when it comes to handling the check book, but you don’t. 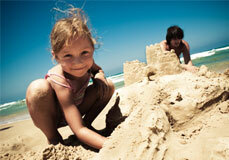 Free activities, like taking a day to walk along the beach may be more of an adventure than a costly sailing lesson. Grilling out at your condo and baking cookies could be much more rewarding than a big bill at a fancy restaurant. We hope these tips will help families minimize stress and help you enjoy your vacation to the fullest. For more information on discount vacation destinations, visit the SmarTravel homepage.